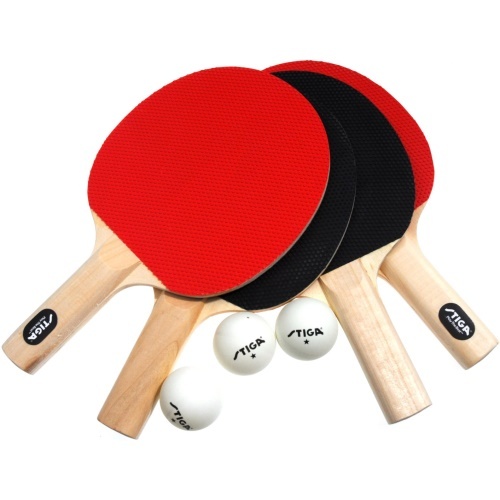 The Stiga Classic 4 Player Set has everything you need for hours of table tennis play including 4 Hardbat style rackets and 3 White 40 mm One-Star Balls. Includes a 90-day warranty from Escalade Sports. 3 White 40 mm one star balls. 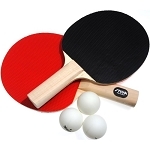 Q: Who honors the warranty for these table tennis paddles? When ordered by itself, this product ships from the warehouse in Evansville, Indiana via FedEx for a doorstep delivery. No signature required for most residential addresses. Dimensions: 15" x 12" x 12"